Worldwide, our oceans are at risk of being damaged by the effects of climate change. Many of us are aware that this includes increased temperatures at the surface of the ocean, but another less well-known effect is ocean acidification. This increase in acidity happens as a result of our oceans taking in carbon dioxide from the atmosphere. 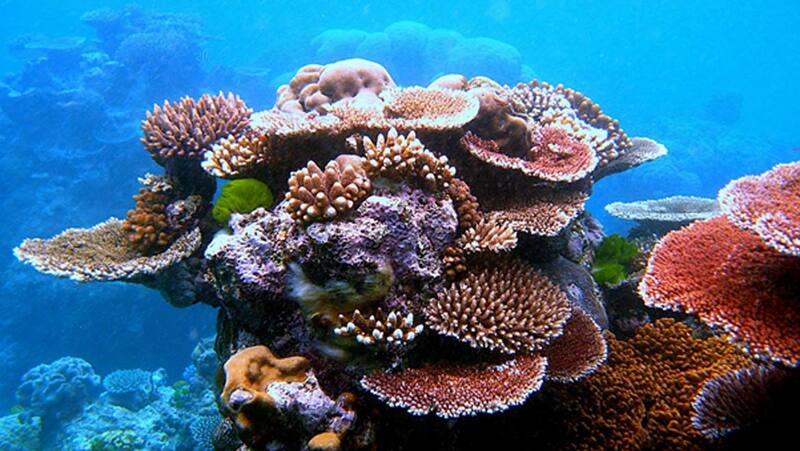 Delicate marine ecosystems such as coral reefs are very susceptible to these changes of oceanic pH and temperature. We have now seen widespread bleaching of many reefs, caused by the increasing temperatures of the surrounding oceans. One thing we are less sure of is the effect of ocean acidification on coral reefs, something that scientists from the Southern Cross University in Australia have been keen to research. As reported in a previous article for Evolving Science, the iconic Great Barrier Reef in Australia is home to a destructive sea star, known as the crown-of-thorns. This sea star may potentially become even more prolific as the effects of climate change become more obvious. It is this which has been the focus of research for Associate Professor Symon Dworjanyn and PhD student Pamela Kamya. Crown-of-thorns sea stars are found on Indo-Pacific reefs such as the Great Barrier Reef and whilst their presence is part of a healthy ecosystem, problems occur when the populations explode. Current research indicates that numbers of crown-of-thorn sea stars has increased due to overfishing of their natural predators, including humphead Maori Wrasse and giant triton snails. Researcher Pamela Kamya, who is a PhD student from Papua New Guinea. These sea stars feed on coral, so when the number of sea stars increases, they consume coral faster than it can grow back. Dworjanyn said “we were interested in how these starfish would fare in future ocean conditions ...starfish may become even more of a threat as a result of climate change”. The team studied the sensitivity of the larval stage of the sea stars to increased acidification. In order to do this, they used a simulator to create conditions similar to those that we might observe in our oceans in the future. The team discovered that the crown-of-thorns sea stars consumed a greater quantity of coralline algae in seawater that was more acidic. The lowest was pH 7.6, which is the predicted pH of our oceans in the future if emissions of carbon dioxide remain high. The intention is to use this research in order to better understand how to manage and conserve our coral reefs in our changing environment.